The National Oceanic and Atmospheric Administration is forecasting over 20 percent more heating degree days for East of the Rockies and depending on your fuel, heating costs could be up by as much as 19% over last year (if you heat with oil). That’s bad news for the almost 50% of NH households that heat with oil (compared to just 6% nationally). 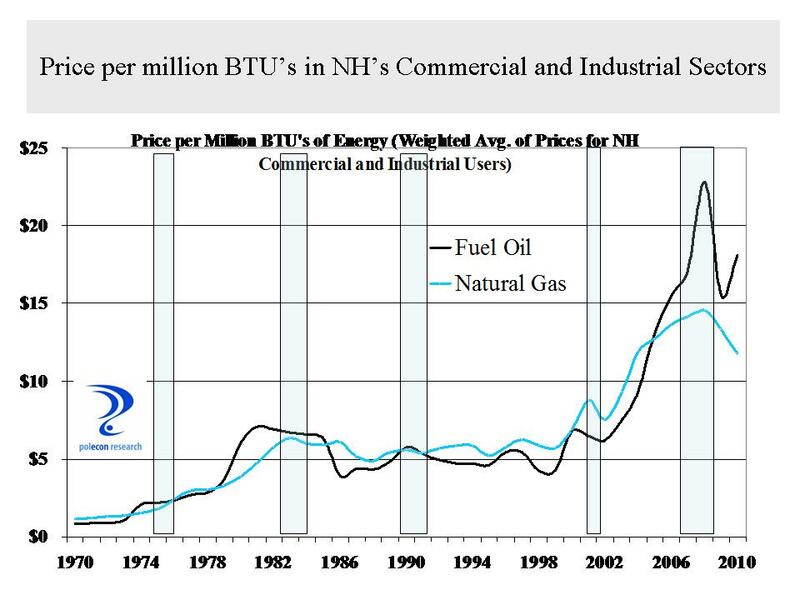 The growing disparity between oil and natural gas prices during the past decade ( graph above) has led to greater use of natural gas in the commercial, industrial, and electric industries in NH and elsewhere, but NH still lags in natural gas usage as a percentage of all energy use in the state. That is unfortunate because later this decade growth in domestic supply of natural gas (led by dramatic increases in the supply of shale gas) is forecast by the U.S. Energy Information Agency to outstrip growth in demand. Prices, although expected to rise gradually, are still forecast to be lower in 2035 than they were in 2005. 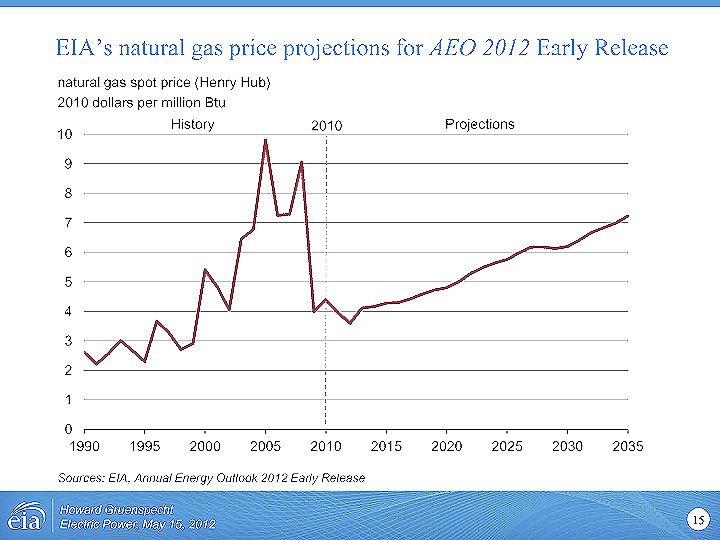 Stable natural gas prices should make investment in natural gas conversions more attractive to NH households. Lending programs by NH banks and credit unions, directed at energy efficiency, could facilitate that. 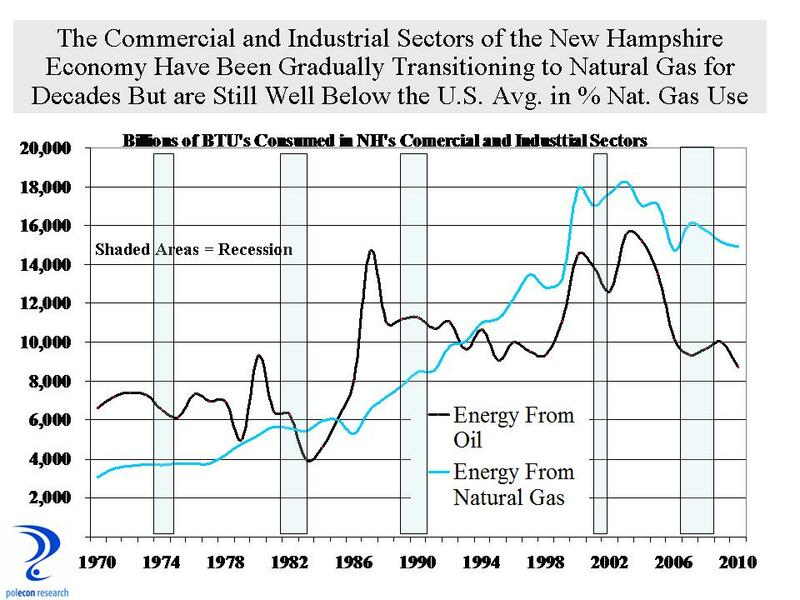 But it is in transportation that conversion to natural gas could have the biggest impact on NH’s and the nation’s energy expenditures and our need for oil imports. The last time I checked, however, there were no dealerships in NH offering the one natural gas powered passenger vehicle produced by major auto manufacturers, there are less than a dozen natural gas “filling stations” in the state, and there are no rules and regulations in place for homeowners to make use of the natural gas lines to their homes by installing already commercially available residential natural gas auto refilling equipment. This entry was posted on October 15, 2012 at 12:48 am and is filed under Electricity, Energy, Natural Gas, Oil. You can subscribe via RSS 2.0 feed to this post's comments.